Hidden Adventures provides engaging eco-adventure experiences, events and expeditions which connect people with heritage, nature and the outdoors. Our Loch Lomond Canoe Trips, Bushcraft Days and Mountain Treks explore areas close by, or within, Loch Lomond and Trossachs national park. 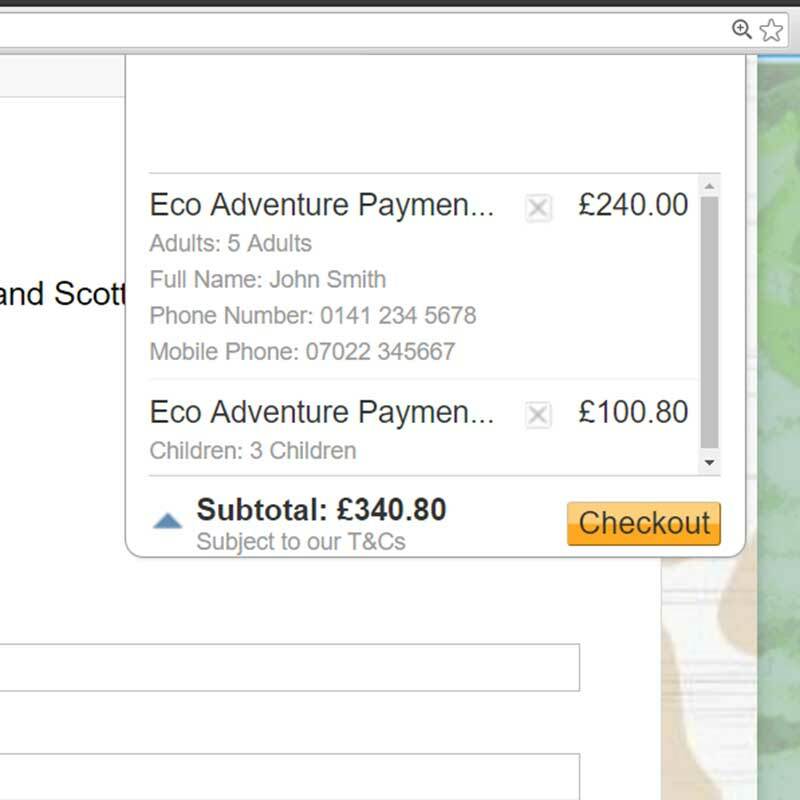 Hidden Adventures needed their website updated and transferred. We built their website many years ago and offered to create a new full-page style modern website, but they love the current site and would let us change very little. So this is an example of an upgrade project rather than the kind of sites we currently design. Creative, diligent and resourceful web designer, who was able to successfully integrate our brand into a good looking and functional web site. Organisational ability and quick responses to requests gave us peace of mind whilst allowing the flexibility we need to grow. Highly recommended! 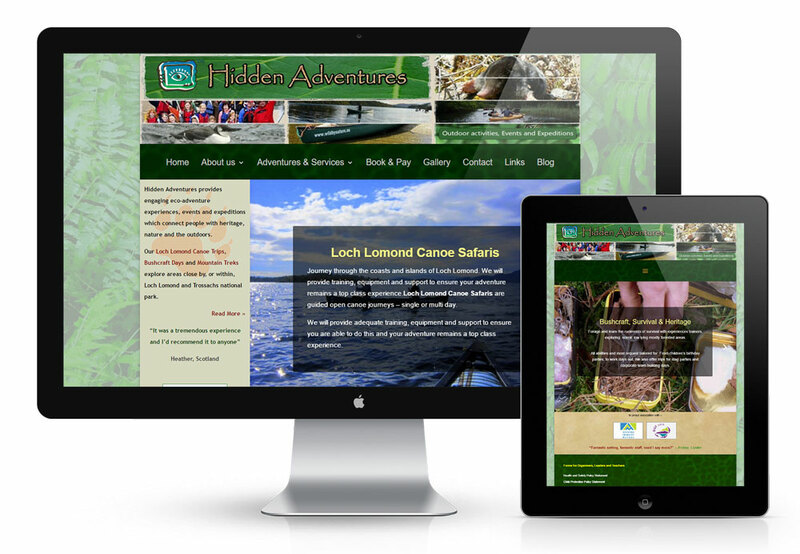 We were able to reproduce the existing Hidden Adventures design perfectly in WordPress. 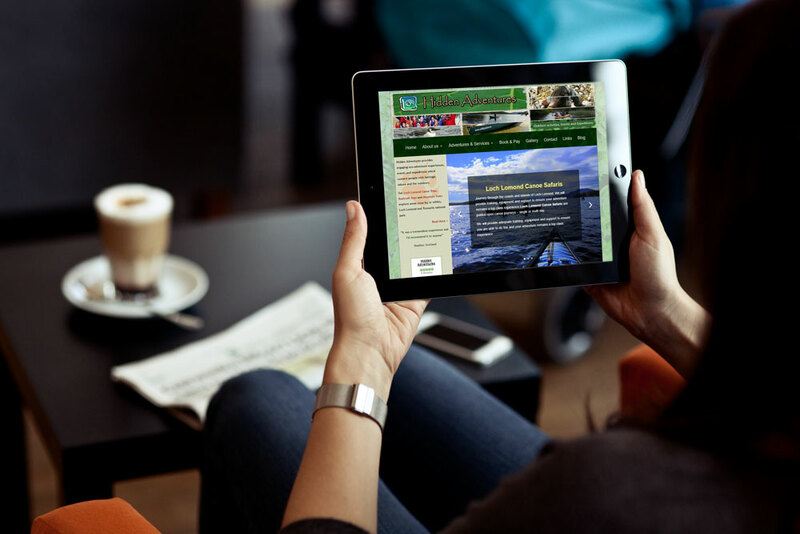 After consulting with the owner we were allowed to make some departures from the original design to make sure the site looked good on mobile devices. 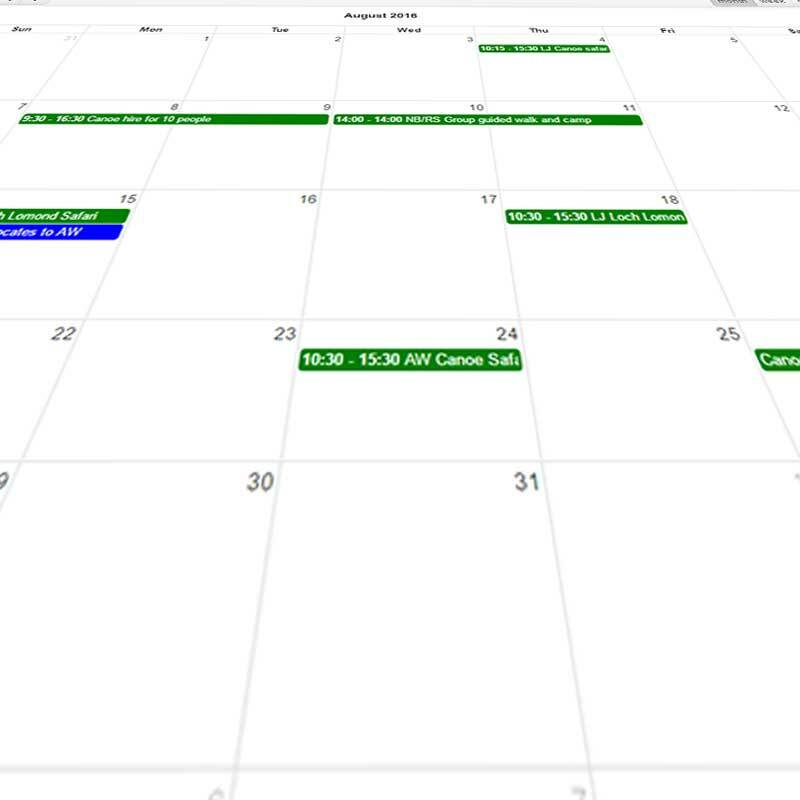 Behind the scenes, the staff now use a customised calendar to plan activities and organise staff. 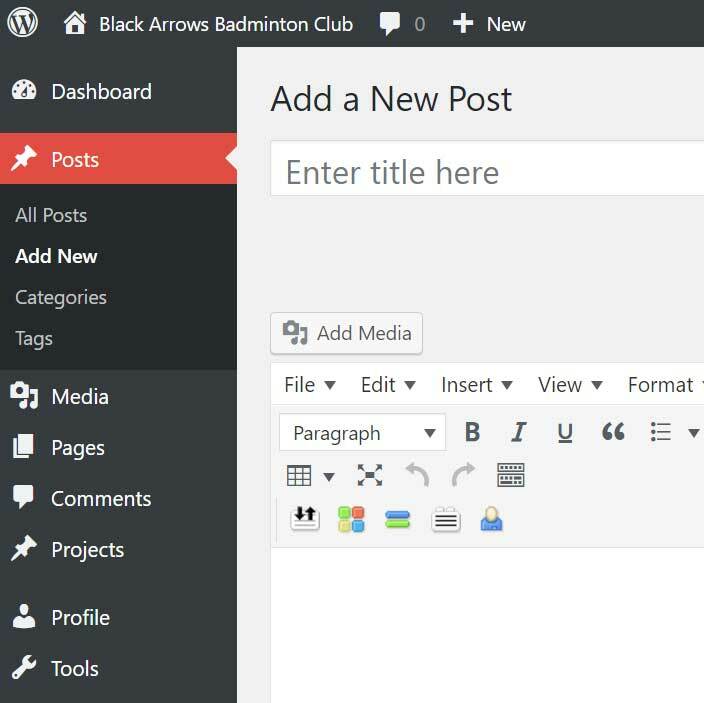 We have also provided a detailed user guide on how to make blog posts.